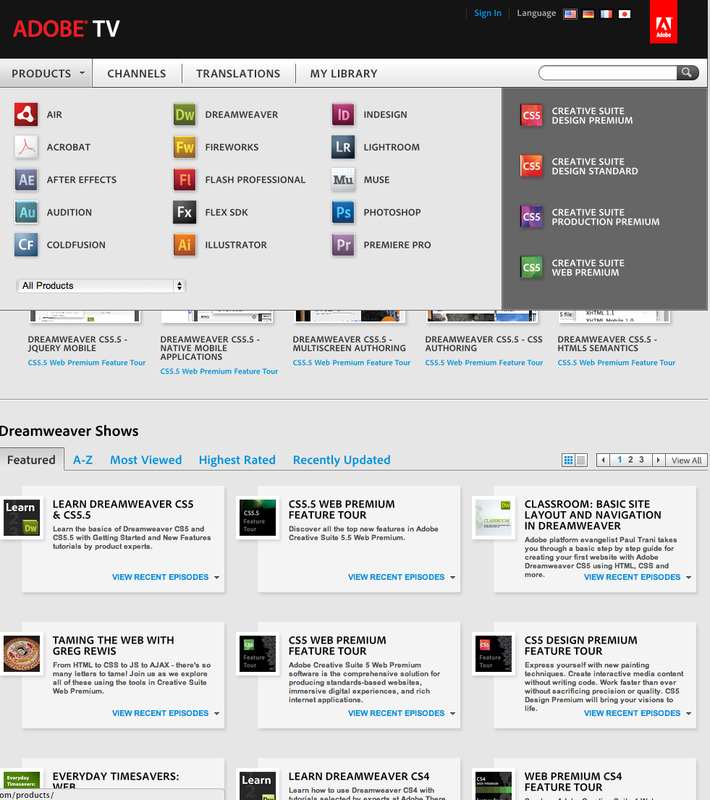 This website is a great place for web designers to learn the Adobe programs I used this site a lot to watch tutorials on Flash CS5. The videos are very easy to understand and follow along with. 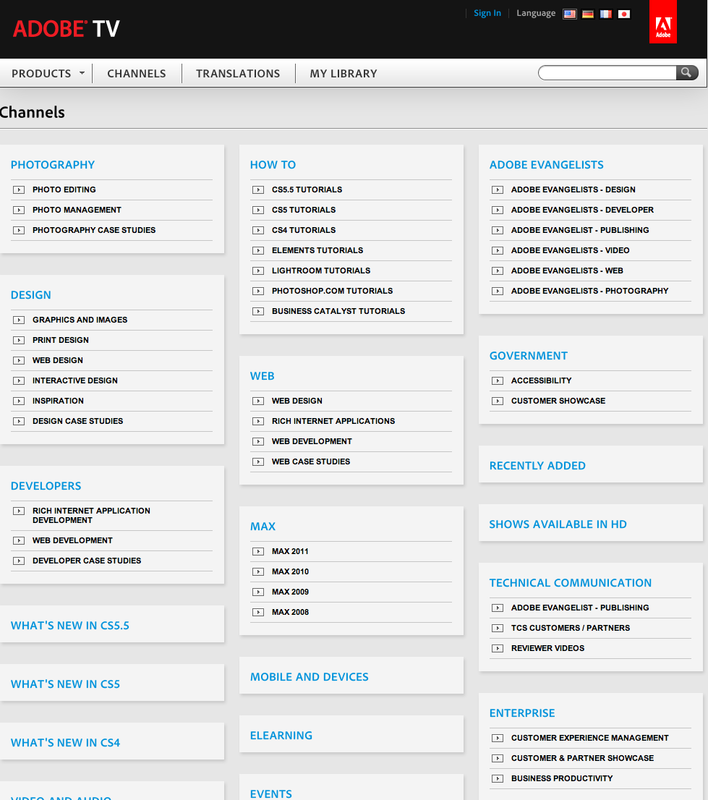 There are different Channels that you can search through and find what you need. Subjects range from Photoshop to Flash to things like web design and mobile devices.